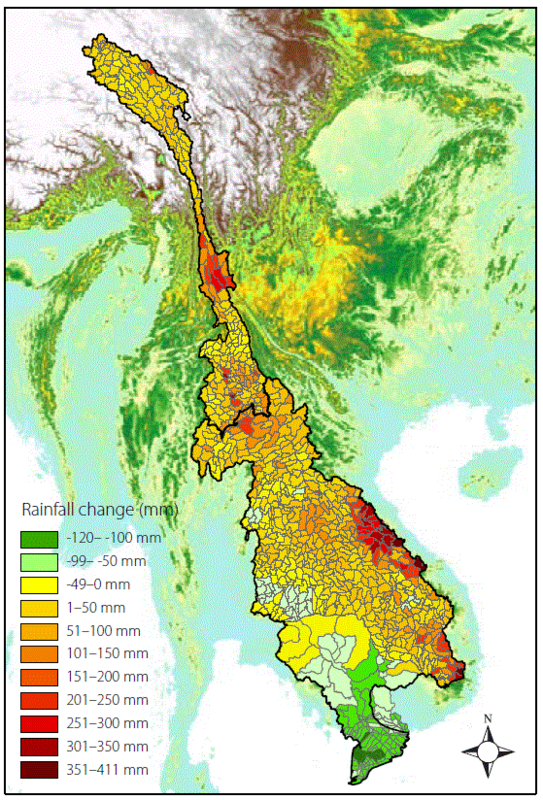 Flows in the Mekong are naturally controlled by the seasonal tropical monsoons. 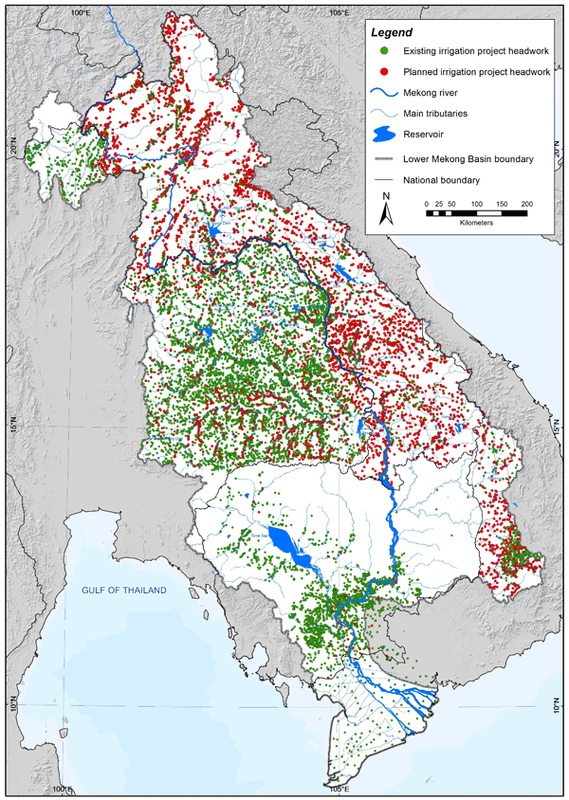 The current patterns and variations of water flows in the Mekong River are critical to sustaining fisheries, agriculture, ecosystems as well as the culture of people in the basin. 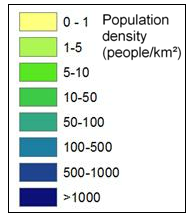 The river supports the world’s largest freshwater fishery and the livelihood of 65 million people dependent on its flows. 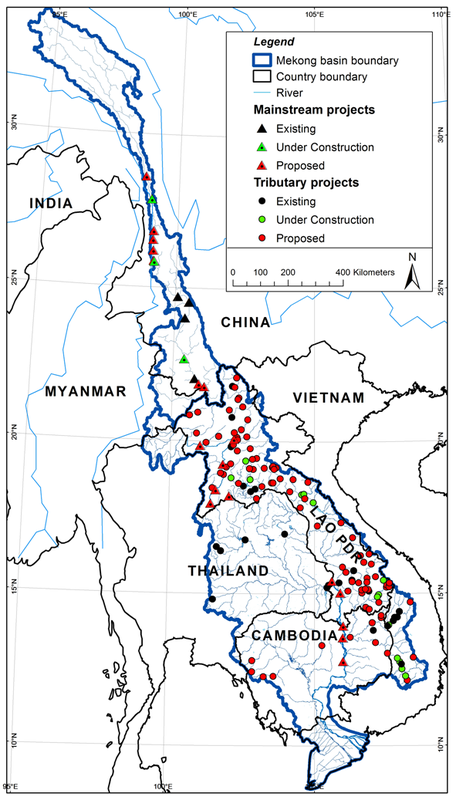 These flows are at risk of being significantly altered through extensive ongoing developments and plans of hydropower in mainstream and tributaries, water abstractions for agriculture, and climate change. Something doesn’t quite jive… wish I had the original source and a better sense of what’s happening. 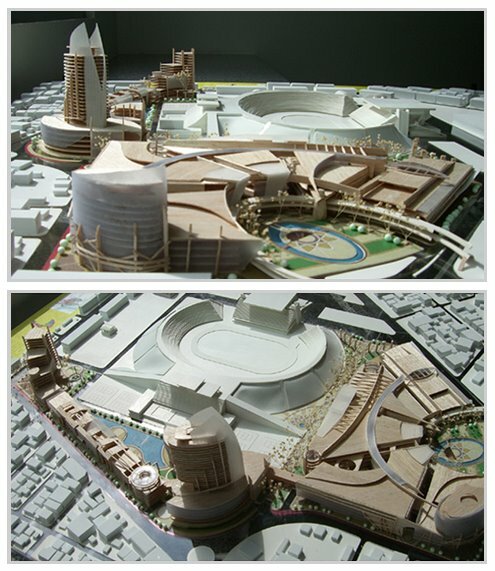 It seems there are plans to develop the Olympic Stadium of Phnom Penh. In Cambodia ‘developing’ mostly means ‘filling’ (like the Boeung Kak Lake) or ‘levelling’ (like the Suramarith Theatre). 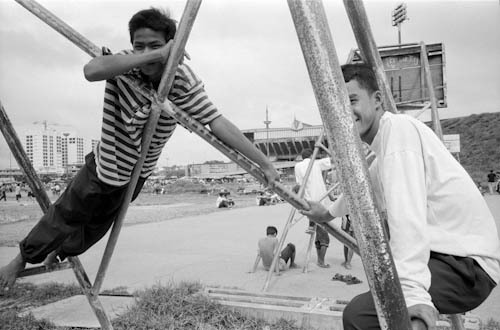 The stadium was built in 1964 on plans by Vann Molyvann and if it never hosted the Olympic games, it is used every day by hundreds of Phnom Penhites, young and old, to practice some sort of physical activity, be it playing football or dancing. A few years ago Canadia Bank was granted the permission to develop a large area at the perifery of the complex. But that appears to be insufficient to satisfy the appetites of the company, and the landmark stadium itself might simply disappear. 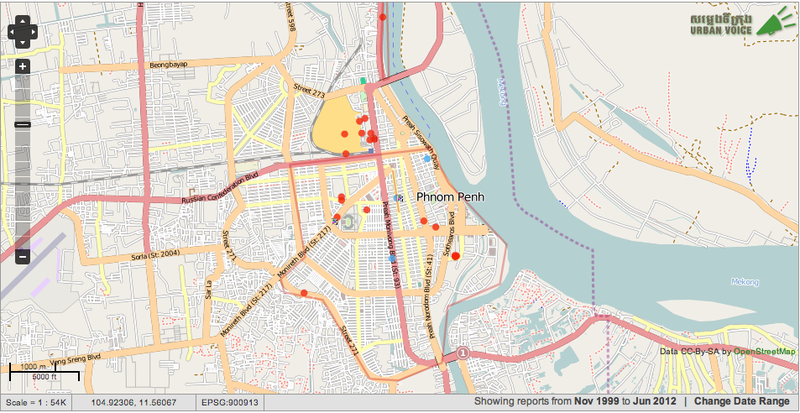 Sad… Sad and probably useless: how many of those megalomaniac development projects in Phnom Penh have gone astray over the recent years? The ‘Golden Tower’, ‘Camco City’, ‘Boeung Kak Lake’: all have stopped, find difficulties in attracting investors to finish the developers’ dream, or simply can’t convince customers to cough up the money. There is a Facebook page where you can vent your anger or give ideas. Do you have other cities or neighborhoods in mind? I’d love to hear from you. Send me an email with photos or link to your blog post. In the next couple of weeks, I’ll put together a follow up article that features your examples. Red dots show submitted flood reports. Born out of Beyond Interiors in Phnom Penh, this project aims to bring smarter local recycling options to Cambodia. Through collaborations with local organizations, entrepreneurs, and affordable housing initiatives, we hope to introduce new options for locally-produced recycled products and affordable building materials. 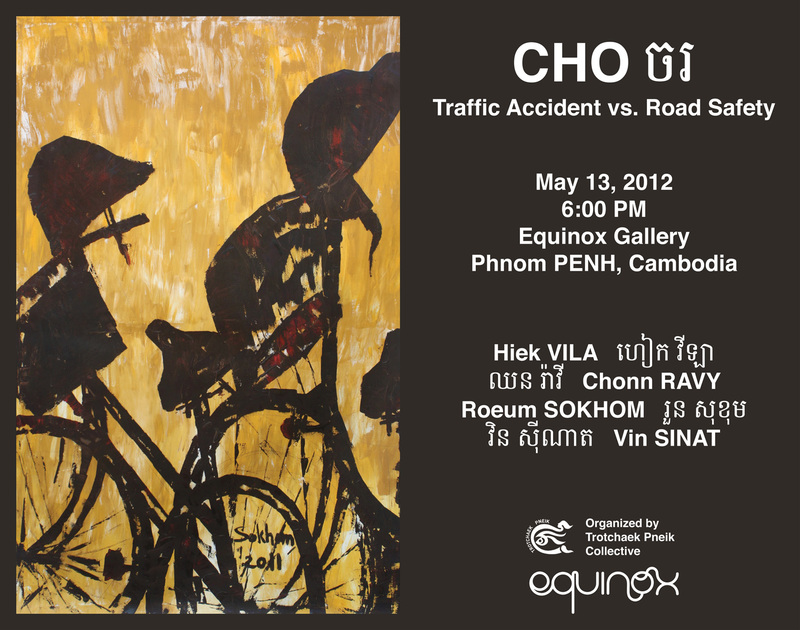 CHOចរ is a story and the reflection of road safety and traffic accident in Cambodia, told by four founding artists from Trotchaek Pneik collective, Hiek VILA , Chonn RAVY, Roeum SOKHOM and Vin SINAT. 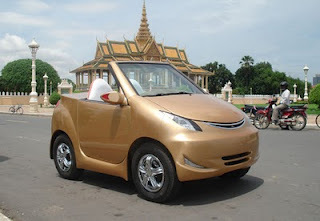 Traffic accident and road safety are the critical issues in Cambodian society. Crashes images become normal discussion topics in Cambodia. Motorcycle parts littered across the road, overturned tuk-tuks and rear-ended cars are the part of the stories circulated around among the local and international people. The number of crashes, fatalities and disabilities is upsetting. Few years ago, 18, 287 casualties were recorded, including 1,816 fatalities. Motorcycles were involved in 66 percent of road crashes reported. The annual economic cost of road crashes in 2010 was estimated at 279 million USD, an increase of 13 percent compared to 2009. CHOចរ (Khmer: Walk/go) is a campaign series to raise the awareness and to remind, both drivers and riders to be very protective and careful while traveling. With this series the four founding artists explores a theme with large canvases, previously exhibiting at the Meta House gallery. The artists have their own styles and experimenting different techniques [black ink and Oil color] on canvases. Traffic accidents sounds harsh, but the artworks are very calm but powerful. 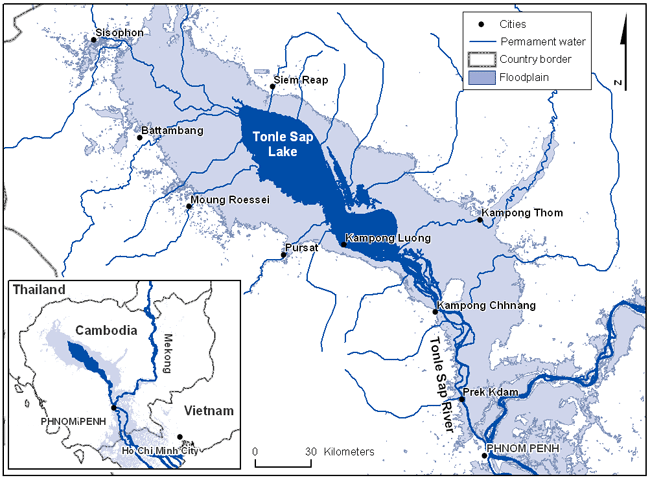 Could the compounding impacts of hydropower development, climate change, and mismanagement one day stop the reversal of the Tonle Sap river? This blog is an attempt by Sophat Soeung to answer this question by following, collecting news, and reflecting on the latest and most challenging developments facing the Mekong and Tonle Sap, and the people who depend on them, with a focus on Cambodia. 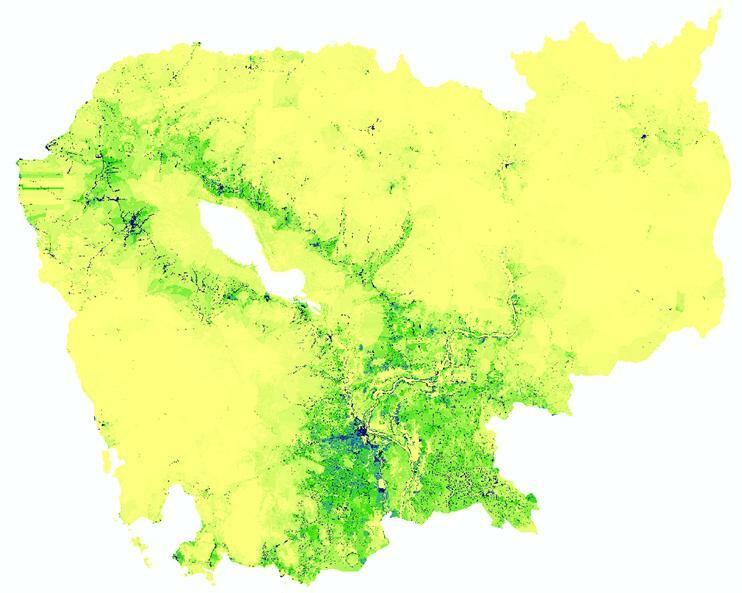 The Tonle Sap lake-river during the dry season (dark blue) and rainy season (light blue). So this will be my presentation topic atthis year’s 4th Khmer Studies Forum at Ohio University, April 27-29, 2012. Interestingly, the presentation comes at a time when there is more media coverage on the Mekong river issues, including the recent Mekong-Japan Summit, Cambodia’s warning to Laos about the Xayaburi dam, and Cambodia’s own criticized tributary dam plans. 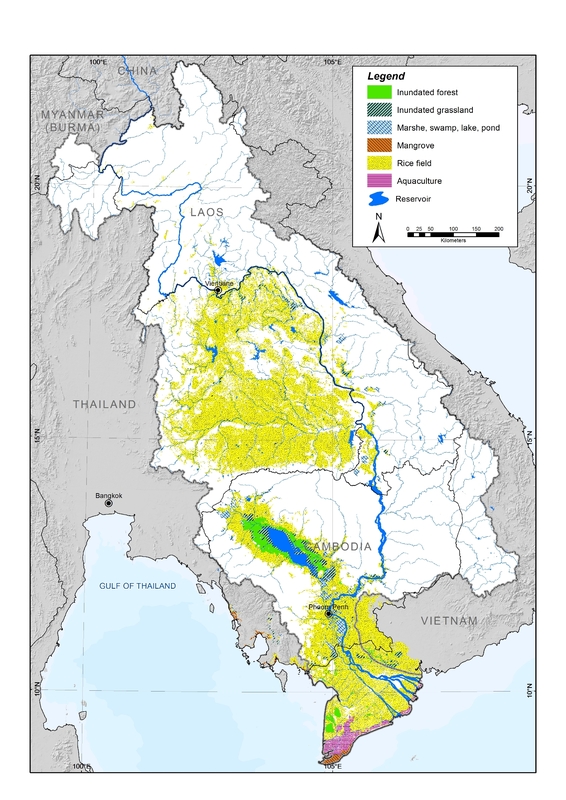 The Mekong river’s unique hydrology has profoundly shaped Cambodian culture and its civilization for over two millennia. From the author’s experience, however, modern Cambodians do not appear to fully understand or appreciate this connection, resulting in lack of engagement on environmental issues and misguided development policies. 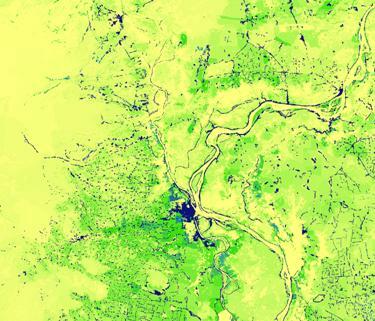 The Tonle Sap river is believed to be the world’s only inland river that seasonally reverses its flow. The significance of this hydrological reversal lies beyond its physical symbolism – more importantly, it determines the food security of Cambodia, having shaped its cultural lifeblood for over two millennia. To most Cambodians, this river’s strange rhythm seems ‘natural’ and enduring. However, today the Mekong and Tonle Sap rivers are under threat from infrastructure development and climate change more than ever before. For example, the erection of a dam or a decrease in rainfall could disrupt the seasonal reversal. 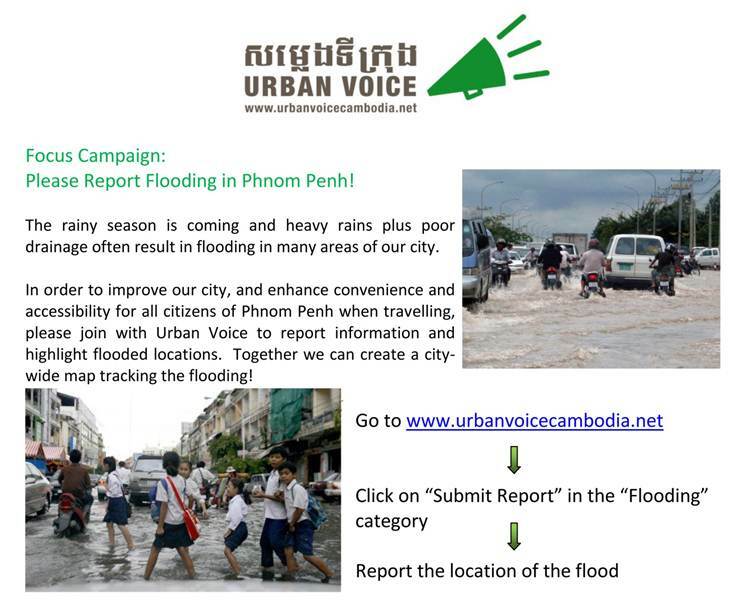 In this context, the author believes that the metaphor of an irreversible Tonle Sap river can serve as a wake-up call for Cambodians of all walks of life to be more aware of their physio-social environment. 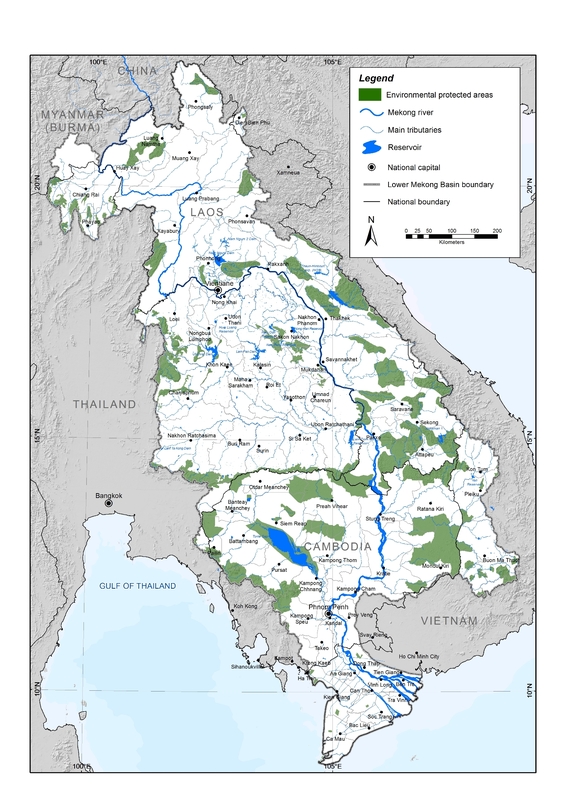 Through better education and activism, this narrative could elicit more widespread engagement in Mekong river issues, while also bringing about more sustainable national policies to address the developmental and environmental challenges that Cambodia and neighboring countries face in managing this shared resource.